On the set with Charlie! With Andrew Greene of the Peachrine Orchestra! *Available worldwide! 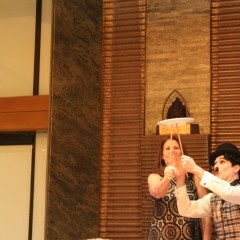 * Damian Blake as Charlie Chaplin has delighted young and old from coast to coast with his routines and characters. He has appeared on stage, in print, on film, as a variety entertainer, character actor, fashion model, and is an internationally recognized Charlie Chaplin impersonator. He is available for hire anywhere for almost any kind of event... just ask! 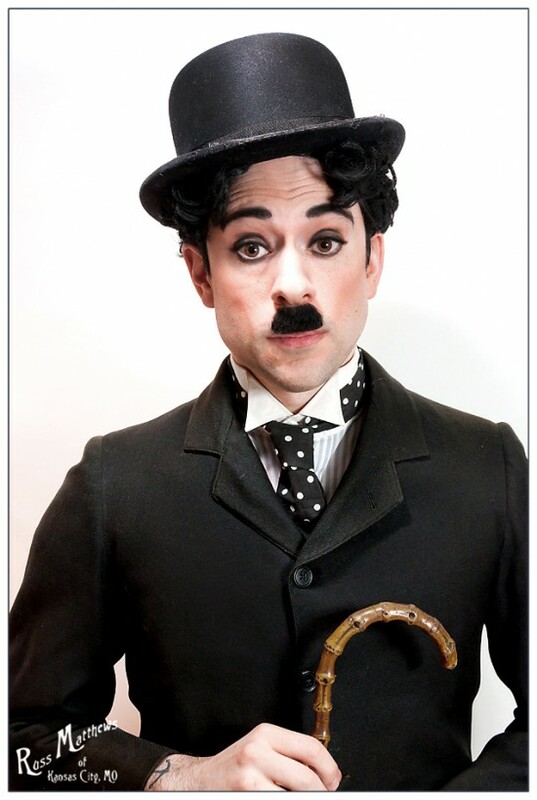 He has recently appeared in Hollywood, Las Vegas, Chicago, New York, Virginia Beach, and teaching an all ages class on Chaplin movement at the University of Berkeley, CA! 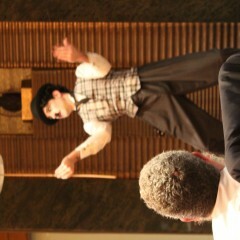 Damion is a perfect Charlie Chaplin! 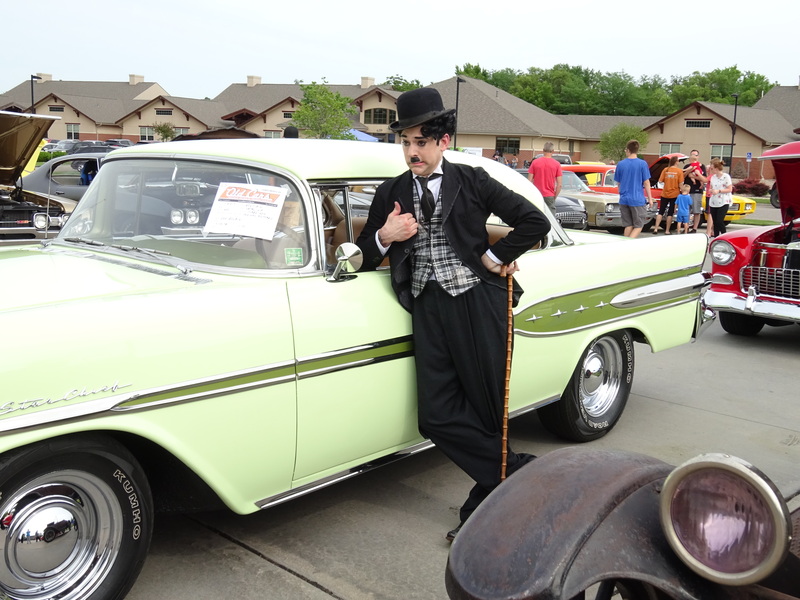 He left a trail of laughter and smiles as he entertained nearly 400 guests attending our vintage car show. He brought such joy and memories to many of the senior residents living in our health care facility. We will definitely be inviting him again! Damian added the extra touch we was looking for on our gatsby themed reception. He did a great job posing in pictures with our guest. Al the pictures looked wonderful. Damian Blake is a master performer and impersonator. 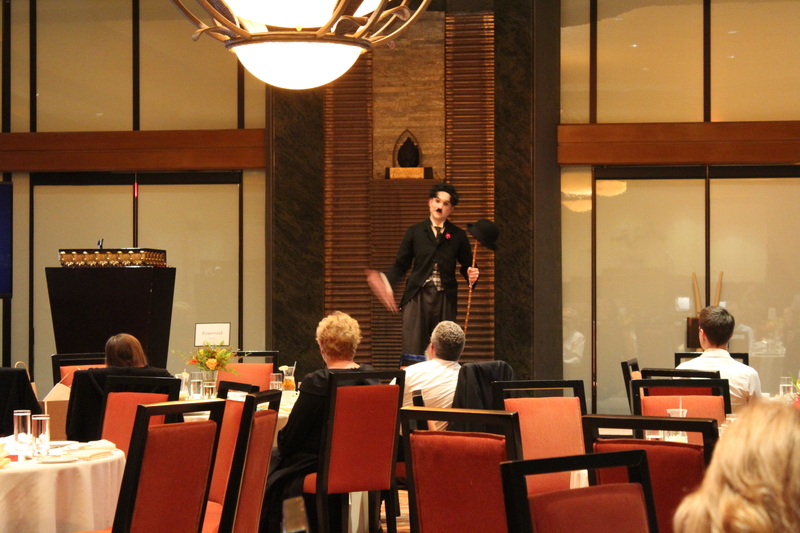 Our guests loved having him at our event as Charlie Chaplin. 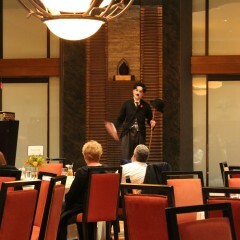 Damian is professional, an excellent performer, wonderful with the guests and a very nice person. We received many and all positive feedback on Damian. 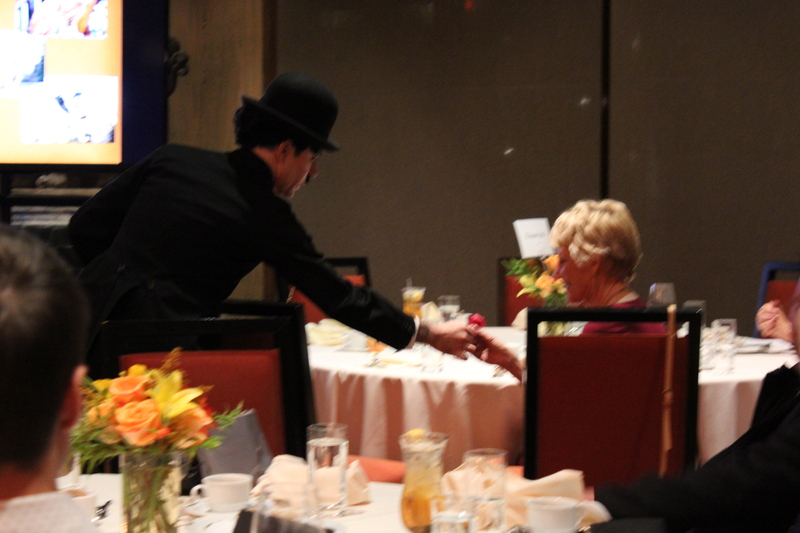 We would highly recommend him for any event. I am a professional photographer, with a fine eye for details. Recently at the World War I Airshow at the Military Aviation Museum, located at Virginia Beach, I saw Mr. Blake perform for the first time. It was amazing. 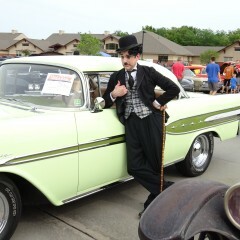 I have studied American History, including this time period, and he brought Chaplin back to life. Mr. Blake remained in full Chaplin character while in public view. Away from the crowd we had a chance to talk, and he very polity agreed to pose for a few photos, one of which I think came out as a twin of Chaplin. I only hope I am able to see him perform again, as he by far is a master of the art of Chaplin. Thank you so much, Collin. You are kind beyond words, and it was a real pleasure to speak with you. Best wishes, and thank you for the photos. Hired Damian for a 1920's Hollywood birthday party. His performance of "the little tramp" is impeccable. 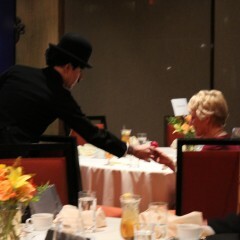 For those who are a Charlie Chaplin fan, like myself, l would highly recommend him to add an extra touch to your event. 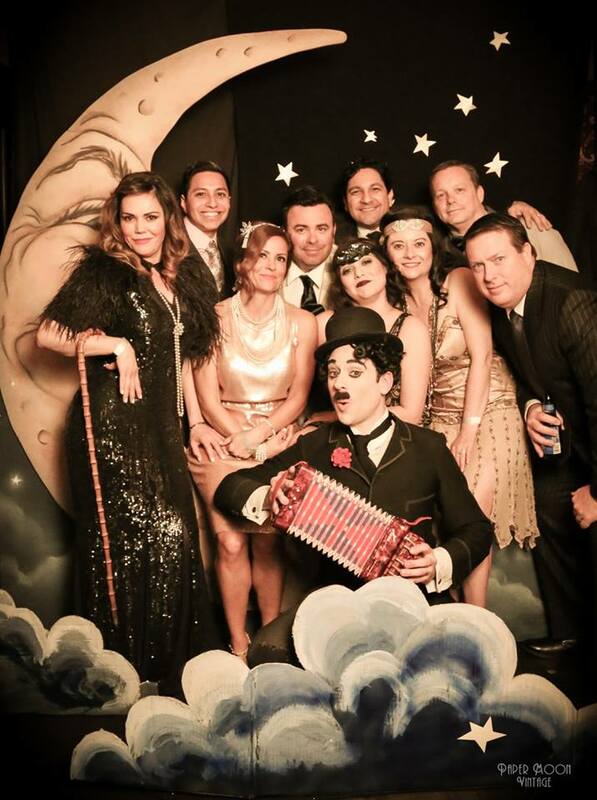 My friends and family had a blast and enjoyed taking pictures with Damian at the photobooth. He was professional from start to finish and all around nice guy. Damian was so great to work with for our Boards and Commissions Dinner. 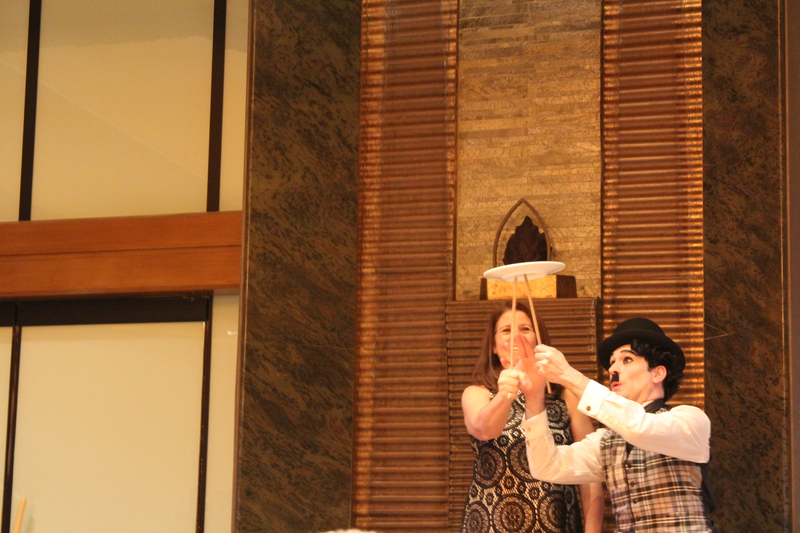 The audience was very enthralled with his performance erupting into applause several times. He's funny quirky and so sweet. We thoroughly enjoyed having him. He will def. add some awesome uniqueness to your event. Highly recommend. 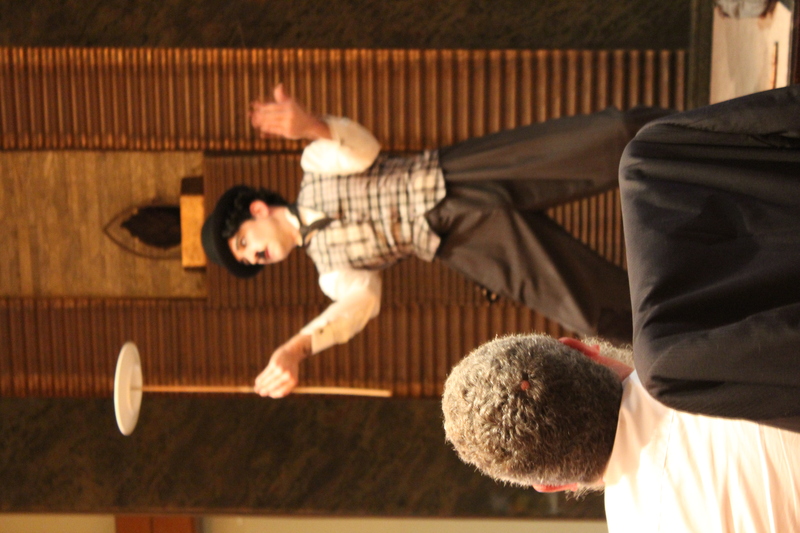 I regularly hire entertainment for our office, and I can happily say Damian Blake was perfection in his role as Charlie Chaplin. 150 hard-to-impress creative folks can't stop talking about what fun it was to have him here. A lifelong fan of Charlie Chaplin, Damian's obsession began at the tender age of three, when his parents showed him a copy of 'The Gold Rush'. Instantly hooked, his love of Chaplin turned into a childhood obsession with silent film, which in turn morphed into a passion for performing. His impersonation of Charlie the Tramp comes not only from his deep admiration for Chaplin the artist, but also for the unique everyman-character he created. Having studied every detail of Charlie's mannerisms, costumes, and personality for 20-plus years, Damian Blake is able to bring you a heartfelt and accurate tribute, perhaps one of the most unique to date. Using the skills he has honed as a sideshow-variety performer, Damian incorporates pantomime, juggling, sleight of hand, acrobatics, and humorous sight gags to every performance. 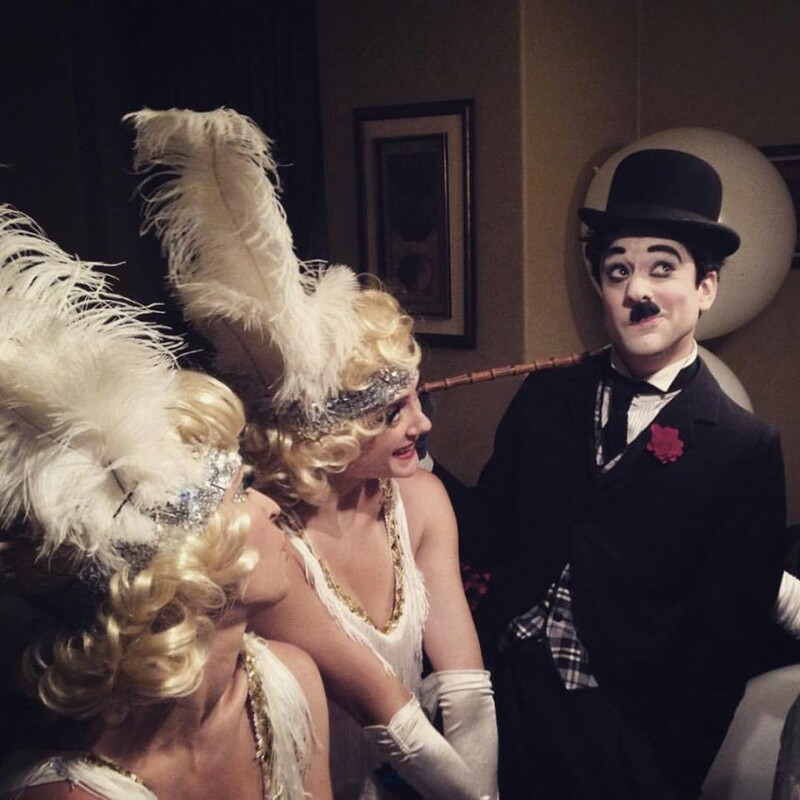 Damian has provided silent comedy to countless venues across the United States, in nightclubs, theaters, event spaces, corporate functions, weddings, commercials, on film, in historic landmarks, and at private parties... and the list keeps growing.